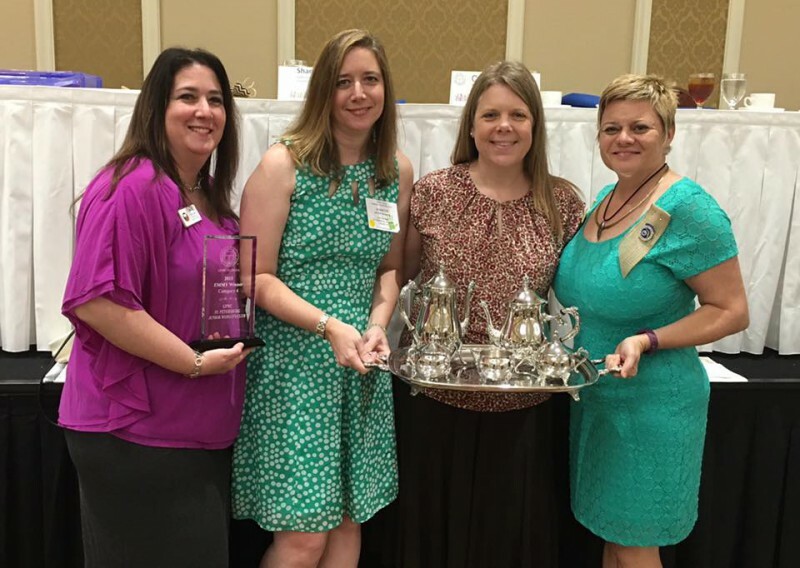 At the GFWC Florida convention in May 2016, our club won the Mary Clark Award as the MOST OUTSTANDING Junior club in Florida for our 2015 projects, growth in membership and activities. This is a huge honor and it’s an award we haven’t won since 1998. We have a tea set to treasure for the next year and serious bragging rights. We also won the Joyce Johnston Award for our interaction with the GFWC St Petersburg Juniorettes Club, which we sponsor, and our member Jennifer Masterton was honored as Juniorette Advisor of the Year for GFWC Florida! We are proud to be one of more than 150 GFWC Florida clubs in communities across the state. Clubs exist for Juniorettes (ages 12-17), Juniors (18-40s/50s) and Women’s Clubs (40s and older).